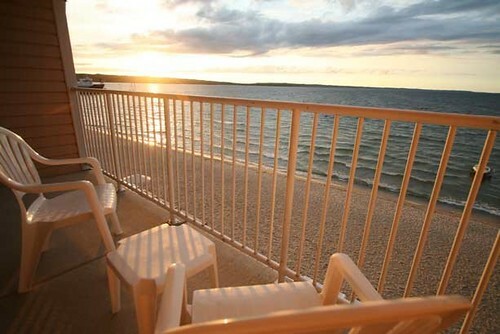 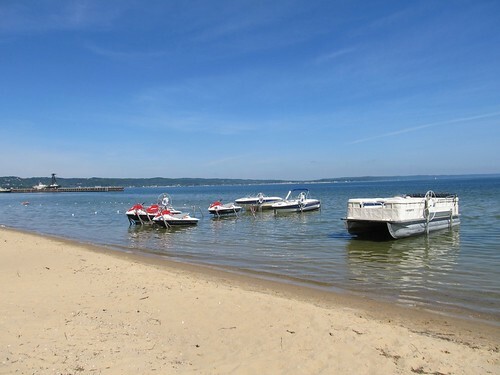 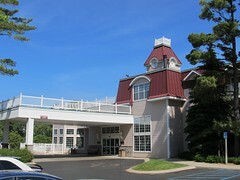 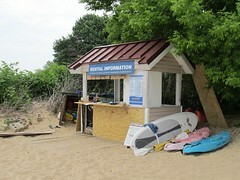 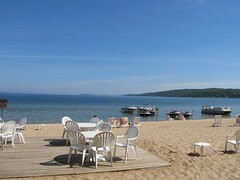 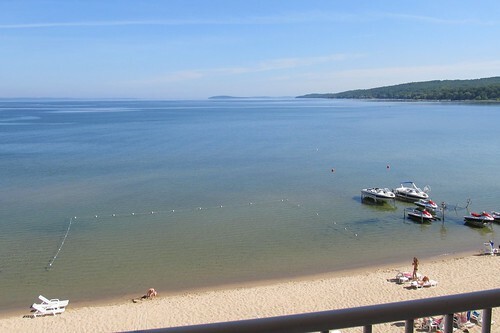 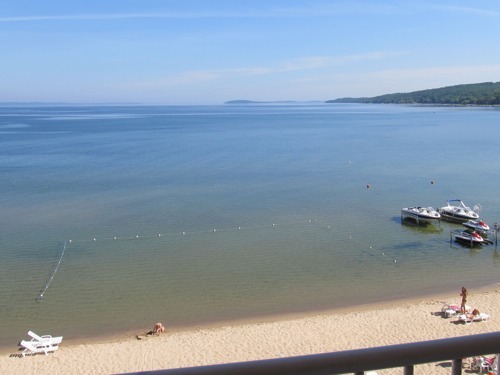 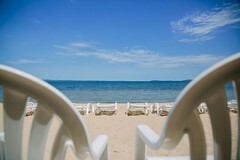 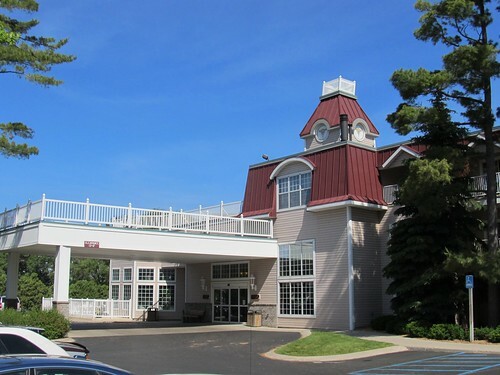 If you are looking for an up-north “Beach Vacation”, the Bayshore Resort in Traverse City has everything you need: one of the best beaches in Northern Michigan outside your door and rooms with bayfront balconies overlooking the crystal blue waters of West Grand Traverse Bay (see above). 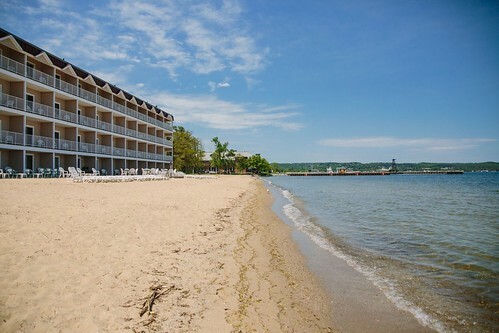 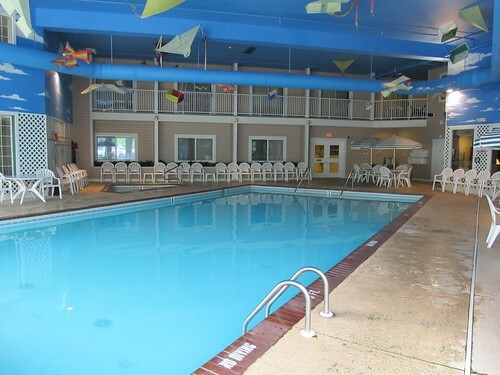 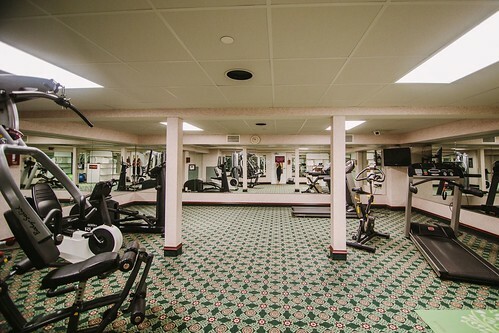 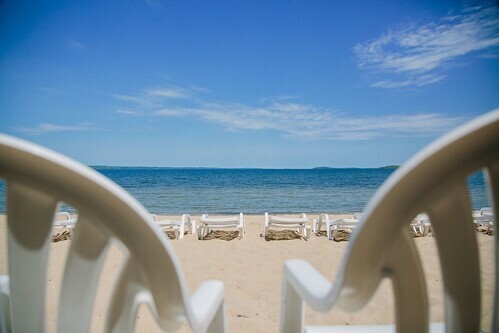 Not only do you get to stay right on the beach at Bayshore Resort, you also are just a short walk or drive away from downtown Traverse City with its unique shops, galleries, restaurants, brewpubs, theaters and countless entertainment opportunities. 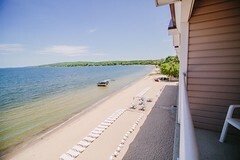 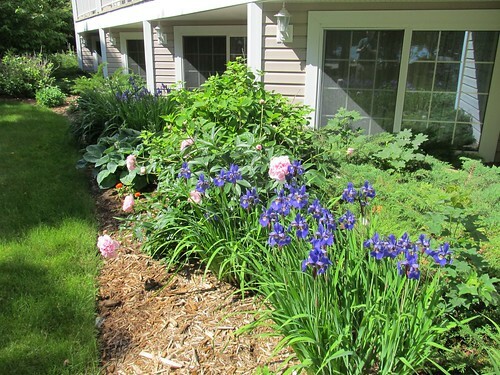 Fireworks Bonus: If you plan your visit to Bayshore Resort for the last weekend of Cherry Festival or on the Fourth of July, you’ll have front row seats on your balcony for the festival or Fourth of July fireworks show over West Grand Traverse Bay. 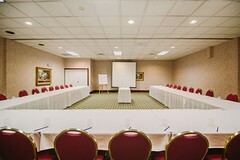 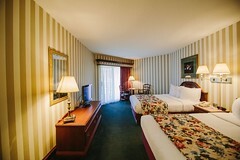 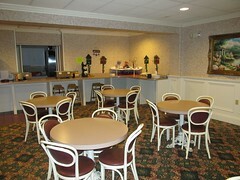 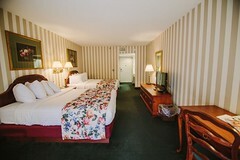 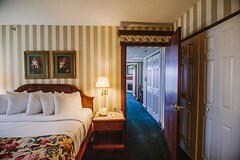 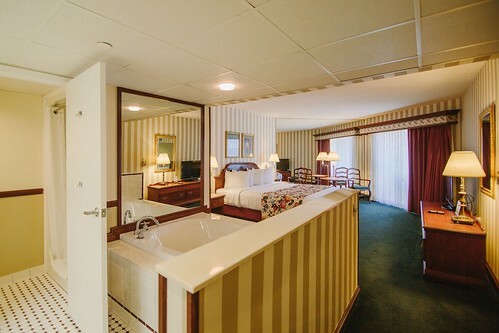 For more information on all of the rooms at the Bayshore Resort please visit the rooms page on their website.